Where do I even begin with this ship? She’s incredible. 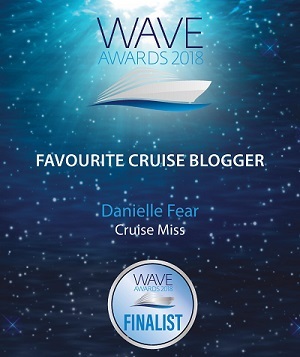 I wasn’t onboard long enough to sample everything, you would need at least a 2-week cruise to go deck-by-deck, so let me share some facts and figures, and some of the things I did get a chance to enjoy. 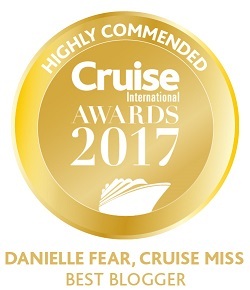 For everything else, you now have a reason to book your next (or first) MSC cruise and find out firsthand what the fuss is all about. It was dubbed to be the cruise event of the year, but sadly Storm Freya reared her ugly head and MSC Bellissima’s naming ceremony came to an abrupt end, but not for long! Everyone was led back onboard and in true MSC Cruises style, the show went on. Sophia Loren named the ship from the bridge in Galleria Bellissima and the rest of the evening was spent indulging in the food, drink and entertainment that this stunning new addition to the MSC Cruises family was offering. A bit of wind and rain was not going to dampen anyone’s spirits or ruin the lady’s big moment for that matter. I’d been exploring the ship for 2 days by the time her naming ceremony came around and I was enjoying being back onboard an MSC Cruises vessel, even if I wasn’t sailing anywhere. MSC Bellissima is filled with colour and every area seemed to ‘pop’ as soon as you entered it. There’s lavish and lush, vibrant and bright, and cool and collected – there’s every type of space you could ever hope to find, and more. My favourites included: Edge Cocktail Bar, Sky lounge, Atmosphere Bar (on the main pool deck), Galleria Bellissima, the Grand Canyon Pool and of course, her incredible atrium. I also liked the Marketplace Buffet, that’s where (in my opinion) the best pizza at sea can be found. Sportplex turned into a huge disco on the first evening and yes, I was there. I had no idea there was a party going on! It’s located in the Kids’ Club space and is mainly a sporting area, but I guess when the little ones have gone to bed, the bigger kids can come out to play, and play we did. it was packed until the early morning hours. The following afternoon I finally got to check out some of the gaming options and several of us (Flavia, Marcus, Claire, Andrew and myself) decided we’d tackle the zombies in the 3D virtual gaming. A word of warning, IT’S TERRIFYING!!! I’m sure my heart skipped several beats in those 6 short minutes, and I was genuinely concerned for Claire’s voice box, she wouldn’t stop screaming! It’s definitely not one for the kids. 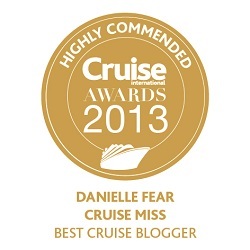 I’ve sailed with MSC Cruises several times over the years and I always enjoy the experience. We all have different lines we cruise with for various different reasons and for me, MSC is my pick when I just want to spend some time indulging in a state-of-the-art ship. 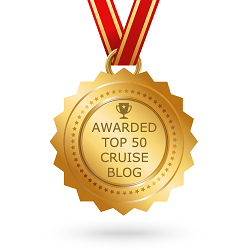 I want onboard down time in an atmosphere that I enjoy and MSC Cruises always delivers that. Some people go for the destination options, the ease of embarkation ports, the cost, but I just want to spend as much time as I can enjoying the ship. MSC Cruises has something for everyone and MSC Bellissima is just one example of that – she has a lot of sisters! There’s an option for every budget with MSC Cruises. If you want luxury and relaxation at every step, try the MSC Yacht Club. If you’re on a budget but still want the chance to experience a new cruise ship and exciting destinations, then book yourself an inside cabin. Finally, if you’re somewhere in the middle, I’d suggest splashing out a little more on a balcony cabin and maybe saving some pennies for more tours and a speciality meal here and there.